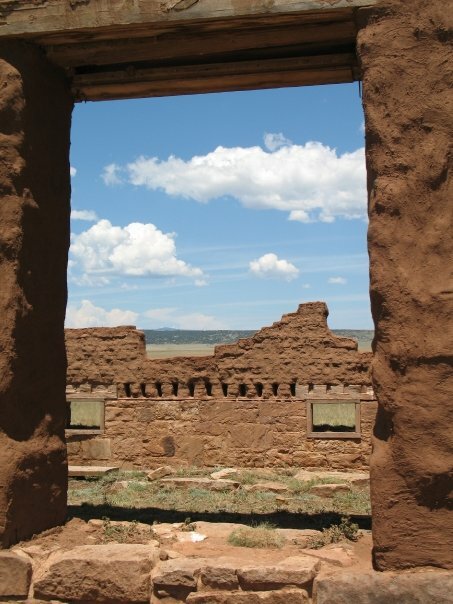 A Trip with Grandma Along the Santa Fe Trail: Do We Still Tell Stories? Grandma, Pecos National Historical Park, New Mexcio. 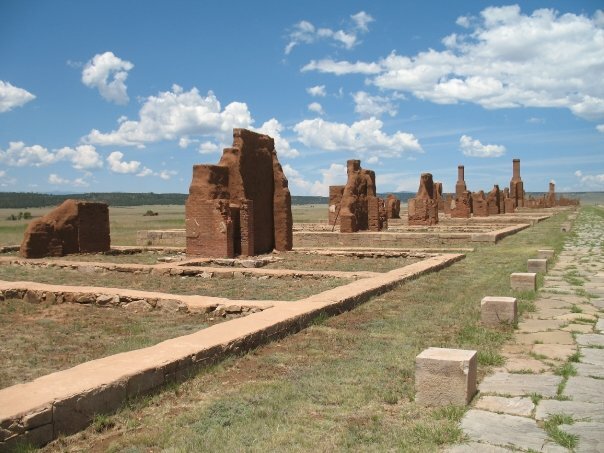 The park protects the ruins of a 17th century Spanish mission and a 14th century indigenous pueblo. Much as a star’s mass curves space and pulls the cosmos toward it, so history leaves depressions in the land and in time. It tugs at us. On approaching a battlefield, a crumbling military outpost or the detritus of a dead empire, we sink into a temporal well. We sink and then we plunge without warning. The weight of a place and everything that happened in it crushes us. People lived here, we realize. They washed in these streams, cultivated maize in these fields, had babies. They lived, they fought, they died, yet their works linger in the land. Their thoughts pervade ours. They are still with us. My grandmother taught me how to read history in a landscape. I was eleven years old when she, my mother, my sister, and I drove from Grand Rapids, Michigan to Grants Pass, Oregon to visit my Uncle David. On that trip I saw the west for the first time. I remember that the Great Salt Desert blinded me like new snow, that the immense salt pan glowed and that to walk on it was like walking on light itself. I remember that the mountains that ringed the white desert seemed close enough to touch. When I asked my grandmother how far away they were, she said, “miles away.” I was enthralled. On that trip she and my uncle taught me about distances. They taught me to see stories in the land, evidence of volcanic cataclysms in Crater Lake, the imprint of pioneers and Native Americans in the relics they left behind, in the persistence of their ideas and lifestyles, and in their descendants who walk among us, who are us. On that trip, eighteen years ago, I learned how to listen to the land. 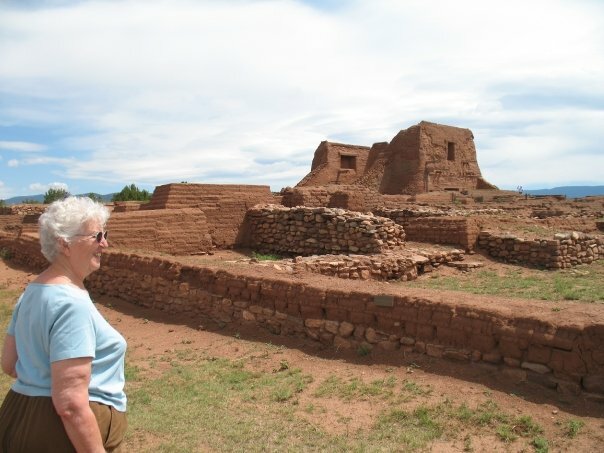 In the summer of 2009 my grandmother and I took up where we had left off when I was a boy and lit out for the Santa Fe Trail in her light blue Buick. 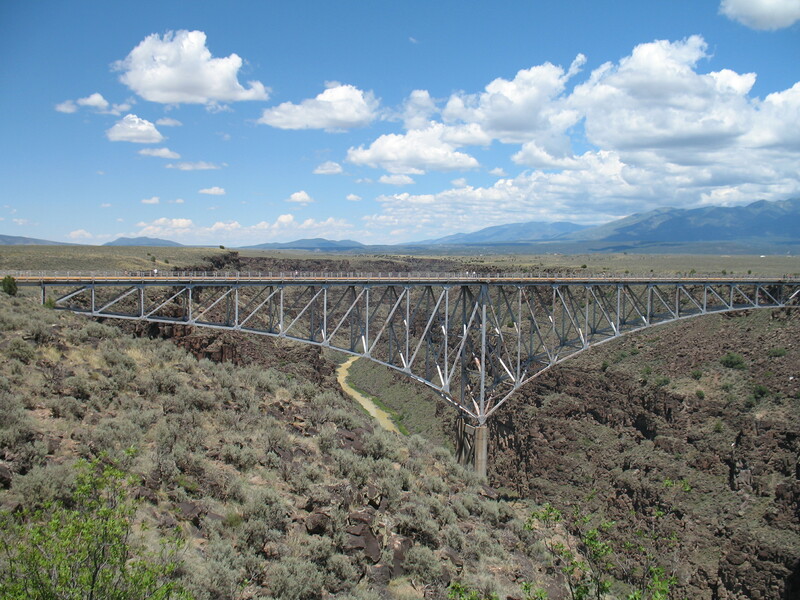 We clambered over the ruins of old U.S. army outposts, meandered through the mountains and high plains of New Mexico, and stood atop Bent’s Old Fort in Colorado and gazed across the Arkansas River at land that more than one hundred and fifty years ago belonged to a Mexico twice its current size. My grandmother knows history in a way that I believe becomes rarer with each passing year. She knows history as someone who has lived it, studied it, immersed herself in it. She has strolled through fields where tens of thousands of soldiers fought and died. She has visited the tombs of men and women who nudged civilization in this direction or that, for better or worse. She always told me that to understand an era you have to try to place yourself in the context of the people who lived within it. My grandmother understands history in a way that demands internalization of its lessons, the cultivation of an awareness of the past that a thousand Google searches cannot provide. Google doesn’t tell a story. People do. Cultures and societies do. Do we still tell stories? Or have we lost the narrative and therefore weakened our links to generations we never knew directly but who laid the foundations of the world we live in? 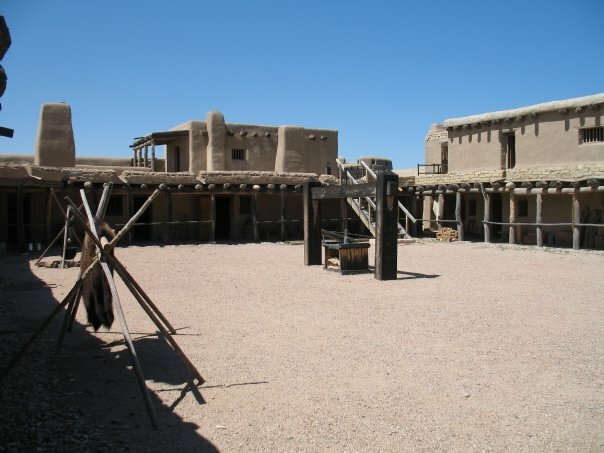 Fort Union National Monument, New Mexico, a frontier outpost built in 1851 by the U.S. army. 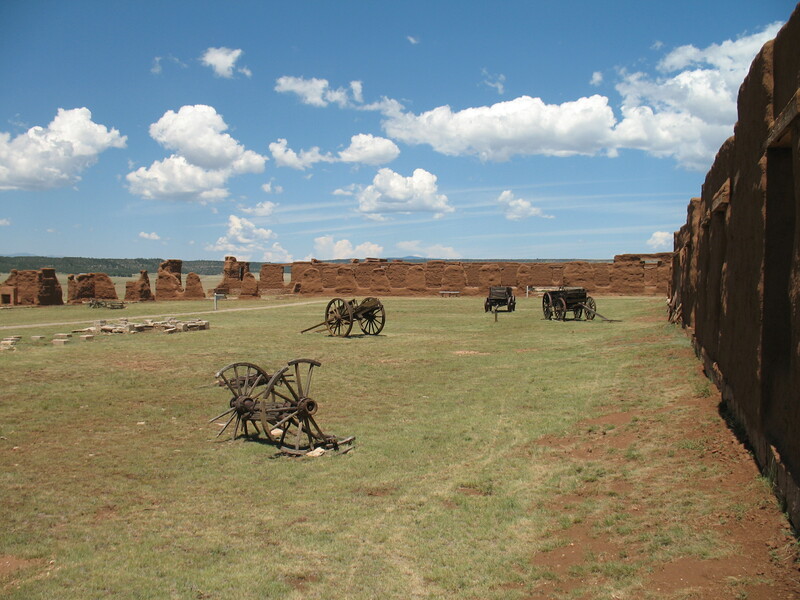 Fort Union National Monument, New Mexico. 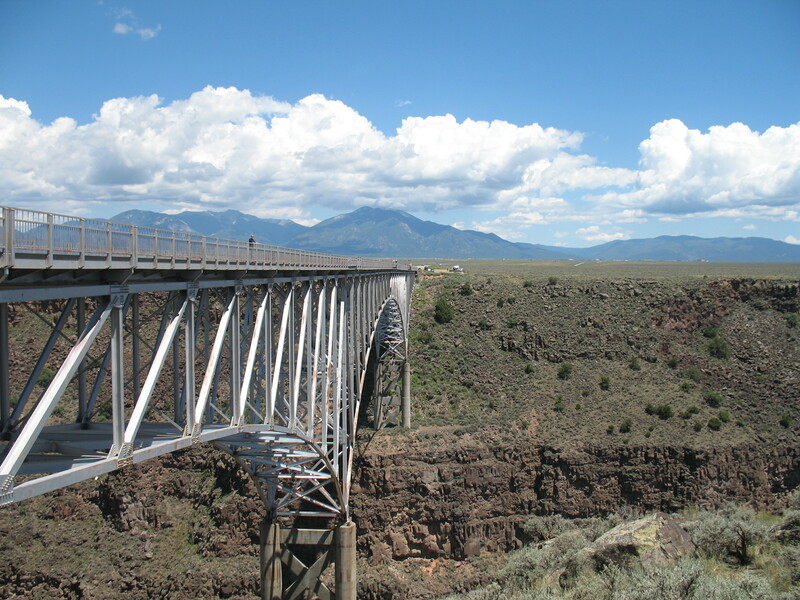 Bridge over the Rio Grande Gorge, near Taos, New Mexico. Much of Terminator 4 was filmed in this area. Don't mess with me. I have a massive cannon! Bent's Old Fort, Colorado. 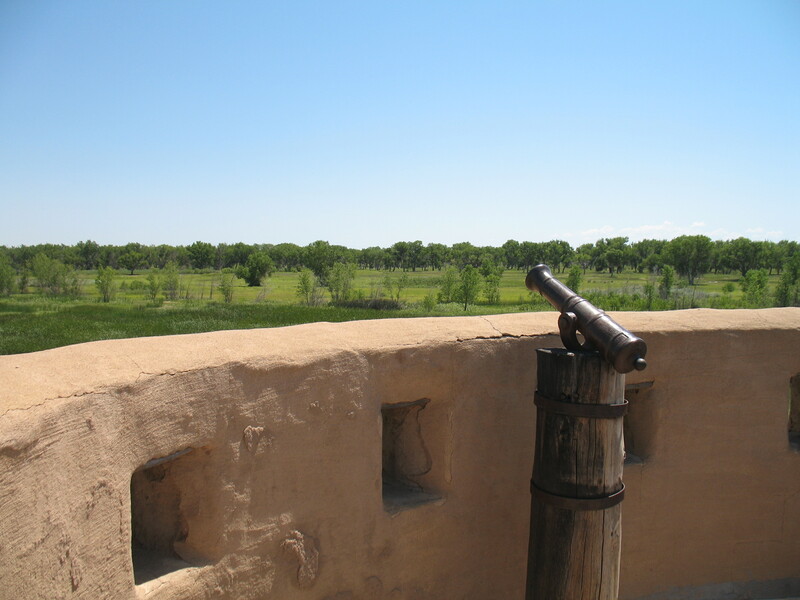 Bent's Old Fort, Colorado, along the Arkansas River. 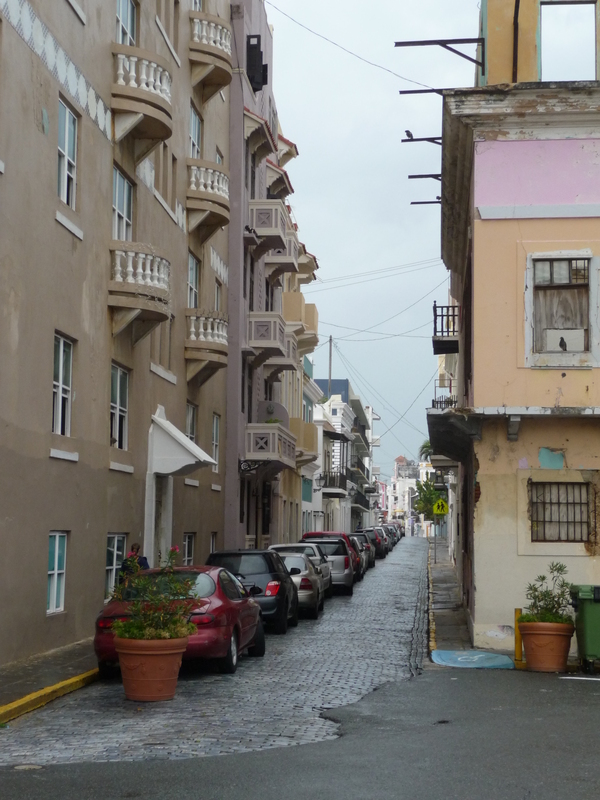 Puerto Rico, Who Are You? 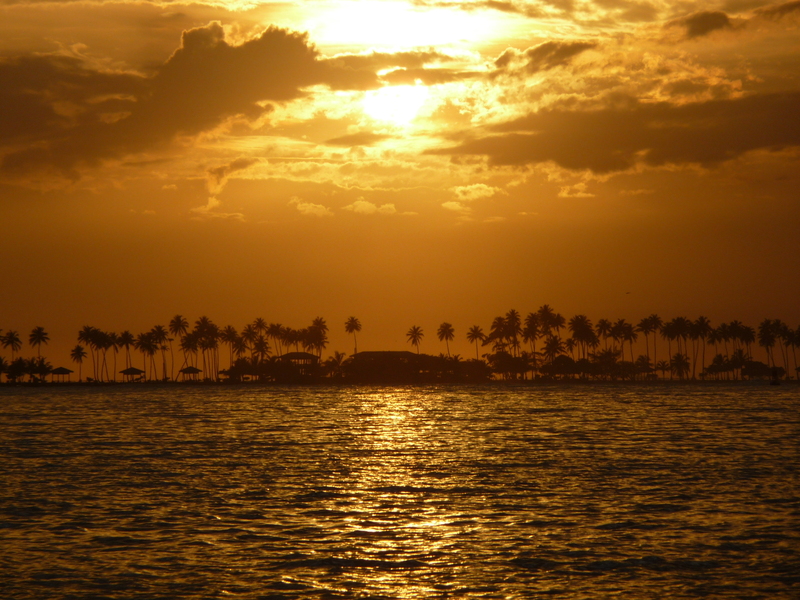 Sunset over the bay, from Old San Juan. 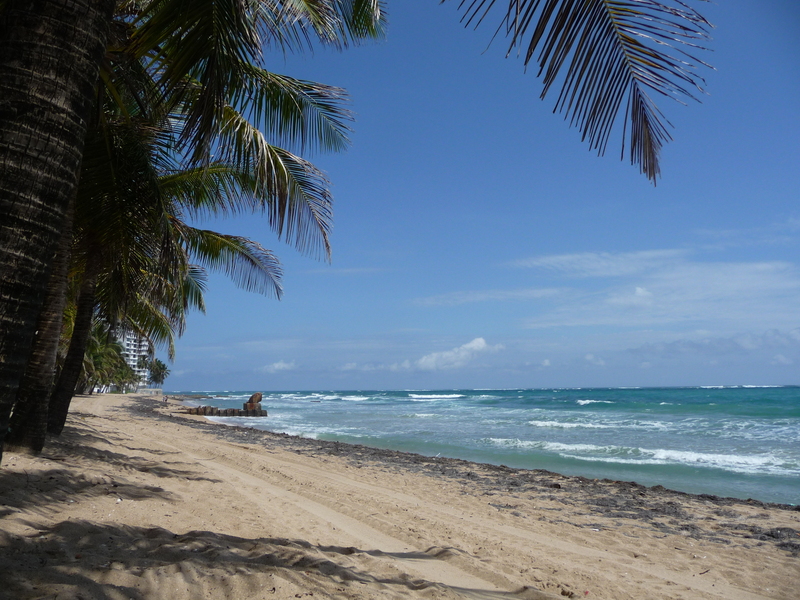 Latin America encompasses parts of two continents, hundreds of islands, and peoples and cultures too numerous to list. Yet we use catch-all words like Latin American, Hispanic, and Latino to refer to anyone born anywhere in this vast territory. The theme of layered and overlapping identities courses through the literature of Latin America. You find it in the fiction of Borges, in the poetry of Neruda, and in the tirades of Ernesto “Che” Guevara, who nevertheless dreamed of unifying these peoples with their varied origins and experiences of Spanish colonial rule and foreign imposition. The people of Latin America are Colombian, Mexican, Argentinean, Chilean, Bolivian, Guatemalan, and Puerto Rican. They are Incan, Aztec, Mayan, Aymara, Quilmes, and Olmec. They hail from Europe, Africa, North America, South America, and Asia. Their cultures are at once young and old, their religions indigenous and imported. The people of Latin America are complicated and multifarious. They express their multiplicity of identities through their art, their architecture, their language, and their religion. I have felt this complexity in Mexico, Perú, Chile, Argentina, and the United States. 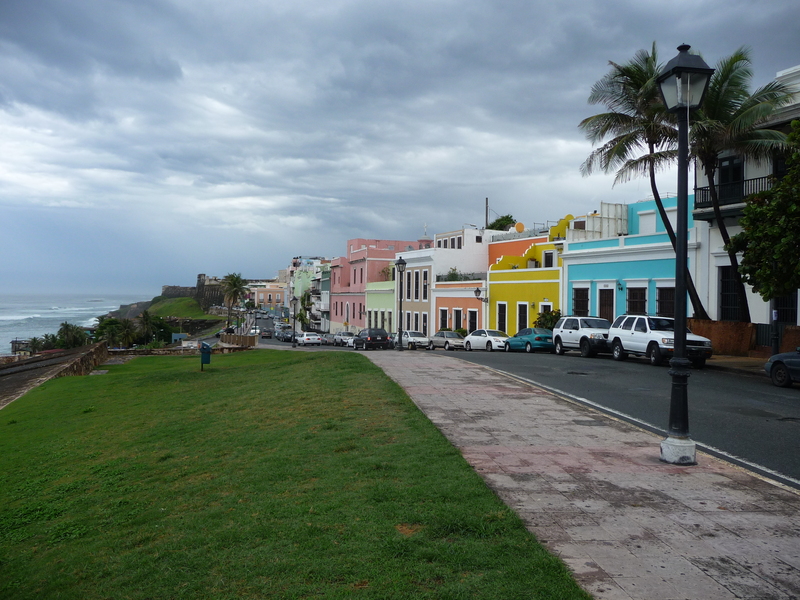 Now, I’ve felt it and seen it in Puerto Rico, where in a single day in Old San Juan one may set foot on Spanish forts that date back nearly five-hundred years, stroll along narrow blue cobble stone streets that would not be out of place in Europe, eat lunch at McDonald’s, speak Spanish and English in the same sentence, and mail a letter via the United States Postal Service. 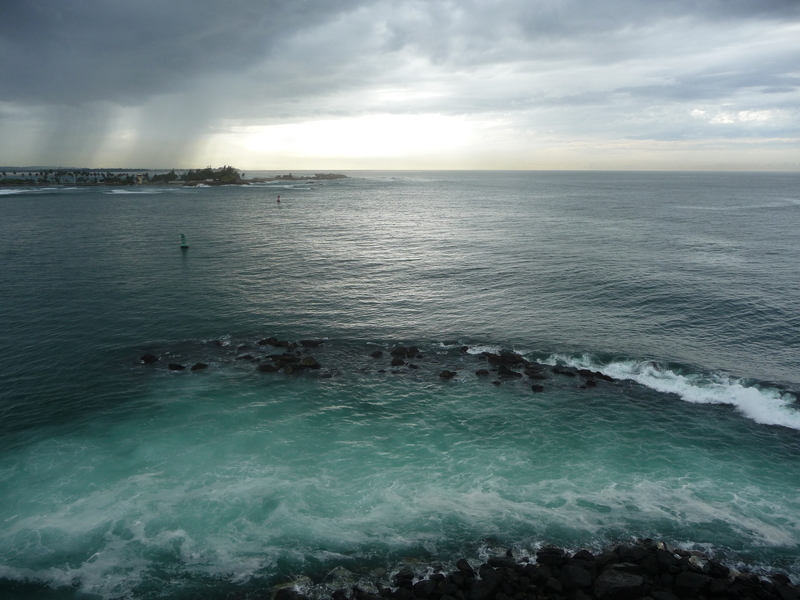 The beginning of Condado Beach, San Juan, Puerto Rico. Little evidence remains of the original inhabitants of this island. 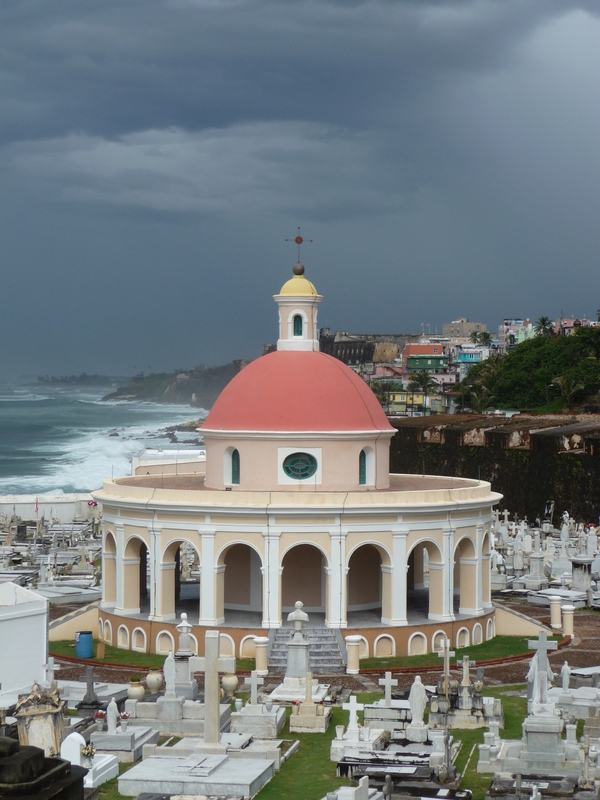 Their blood courses through its people now, but one sees little in the way of ruins left over from the days before Europeans sailed toward Puerto Rico’s shores, unleashed themselves on this fertile land, and enslaved the people who variously welcomed, resisted, and fled from them. 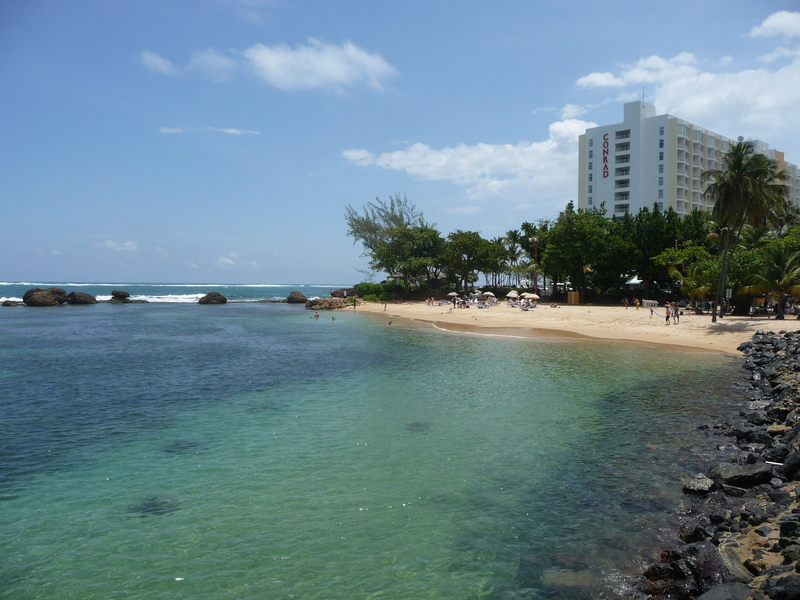 Condado Beach, San Juan, Puerto Rico. There are books you avoid because their heft intimidates you and there are books you avoid because you doubt they can possibly live up to their reputations. Then there are books you avoid both because you fear them and because you can’t imagine a work of literature achieving the perfection so many attribute to it. For me, ten years ago, Crime and Punishment was such a book. Until about a month ago, Les Miserables was such a book. And until today, War and Peace was such a book. Now, I get it. Tolstoy didn’t write a novel. He created a world. He outdid historians in his depiction of the Napoleonic wars and their effects on Russia and Russians. He elucidated the aristocratic lifestyle. He philosophized and quested for meaning and purpose in life. He revealed the constrained circumstances of Russian women who depended on marrying well to advance. He expounded on the ineffability of human life and historical events. Etc. The powers of language are always suspect in this book. Tolstoy writes now with precision, now with force, now with delicacy, yet from his argument–sometimes subtle, sometimes explicit–that life and history defy description emerges the idea that language itself is deficient and even dishonest. Tolstoy takes feeble words as his tools, pieces them together, and in doing so transcends their limitations and creates something that is far larger than its constituent parts. His underlying thesis (or, rather, one of his underlying theses) is that no essay, no historical tome, no library of a million essays and historical tomes can describe or explain a historical event, be it large or small. You can’t tell what happened; you have to show it, and even then you’ll leave out almost everything. I know almost nothing about Napoleon’s invasion of Russia, of what it meant to be a Russian before, during or after the invasion. I know almost nothing about who or what drives history, about who or what causes people to be good or bad, smart or dumb, brave or cowardly. But about all of these things I know infinitely more than I did before I picked up War and Peace. Which is saying a lot and almost nothing at all. “The subject of history is the life of peoples and of mankind. To grasp directly and embrace in words–to describe–the life not only of mankind, but of one people, appears impossible” (p. 1179). “What is War and Peace? It is not a novel, still less an epic poem, still lesss a historical chronicle. War and Peace is what the author wanted and was able to express, in the form in which it is expressed” (p. 1217).